Seeing as a large number of schoolchildren in the UK are currently in the midst of external exams – whether that’s GCSEs, AS levels or A2s – a blog post covering idioms about exams seemed to be the obvious contender for the next in my series. As you would expect, most of the sayings in this list are focused around effort, success or failure. For those of you like me who are interested in the etymology behind the idioms, I’ve also included some links to more information. Sail through = succeed in doing something without difficulty. 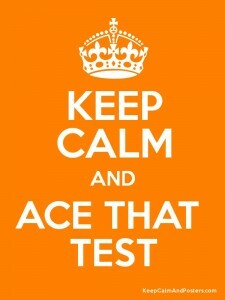 If you enjoyed this collection of idioms about exams, you might also be interested in my post on school idioms. As usual, I learnt a couple of new idioms while putting this list together. I certainly hadn’t heard of “in a brown study” or a “study animal” before. How about you? Any phrases here that were new to you? Or any idioms about exams that you think should be added to the list? perfect they were really usefull, what about. to be a bookworm or copycat? those are good 2!! I’m glad you found them useful! The two idioms you mentioned are both covered in my School Idioms post, which is linked to near the end of this one, as they’re more general rather than specifically about exams. If you are a native speaker, and you “learned a couple of idioms” when putting this list together, then maybe don’t include them, because that probably means they are far less common than the average student needs to know. Teaching students phrases from the 1940s has marginal utility. Like most native English speakers I come across new words & phrases on a daily basis. But it doesn’t necessarily mean they’re outdated or uncommon. My blog posts aren’t specifically aimed at those who are learning English; they’re written for anyone with an interest in the English language – whether as a native speaker or a student. So I like to share what I discover during my research (often with links for more info) & people can then decide for themselves if it’s interesting or useful. Thanks for taking the time to leave a comment!